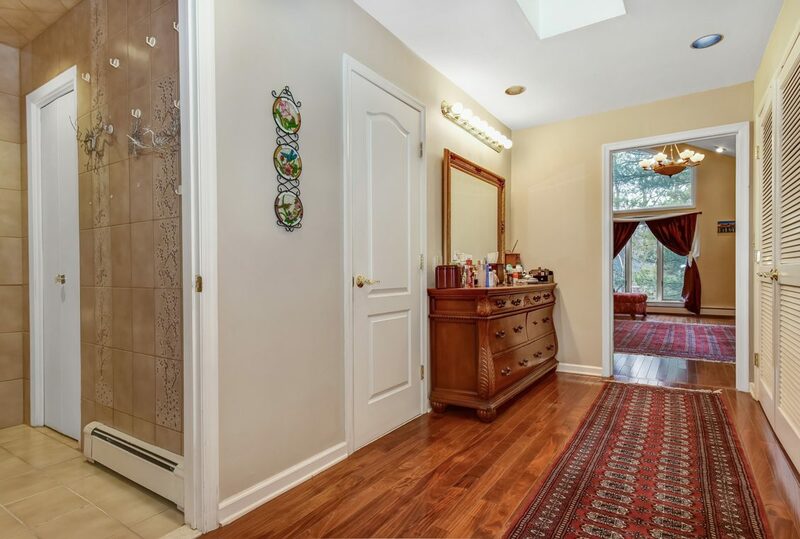 14 – 1 Lenape Road – One of 2 Master Baths! 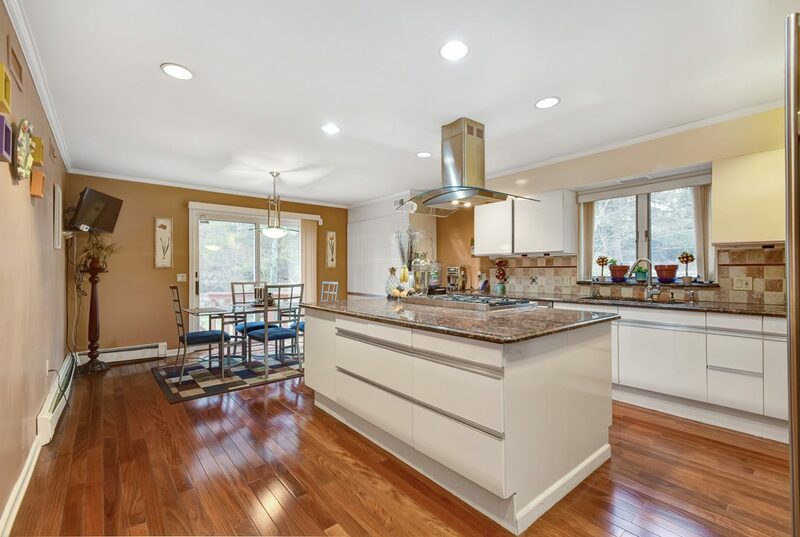 16 – 1 Lenape Road – Second of Two Master Baths! 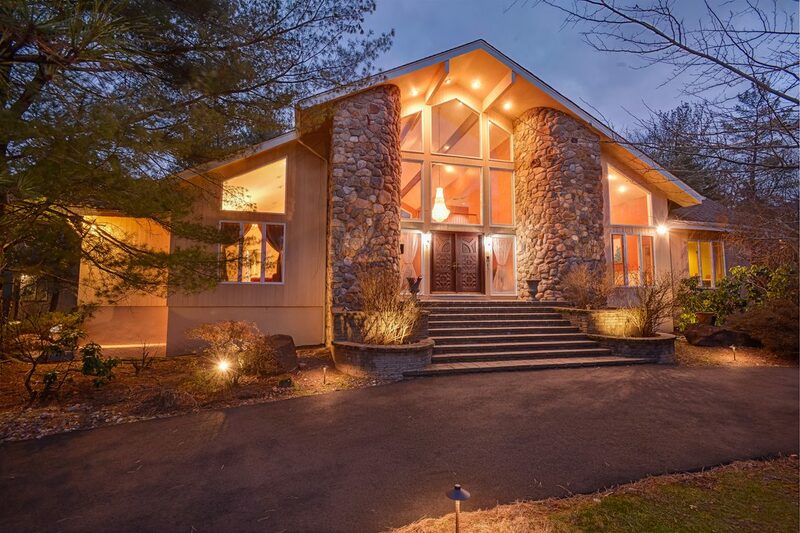 Spectacular totally renovated 6,959 sq ft custom home on .55 acres of level property on a quiet cul-de-sac with dramatic 2-story great room with wood-burning fireplace, banquet sized dining room, updated gourmet eat-in kitchen & 1st floor master suite with 2 baths & 2 walk-in closets. 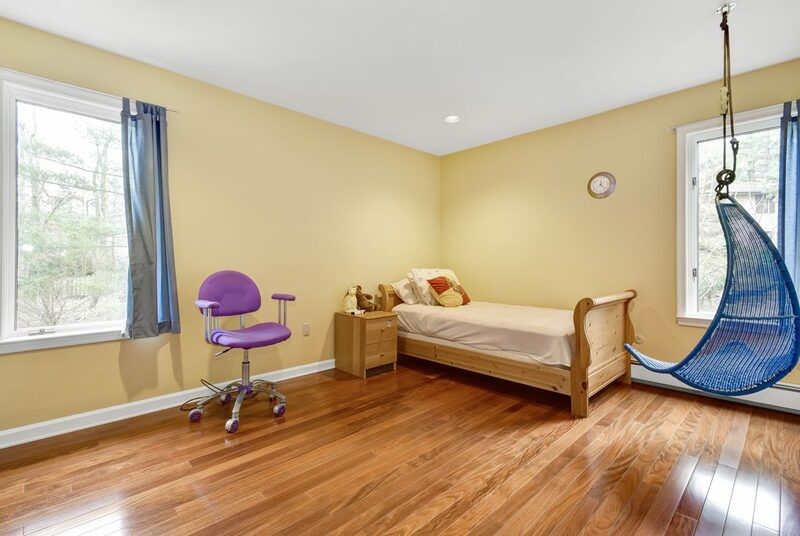 There is a first floor in-law suite with an en suite bath, as well a 1st floor laundry room. 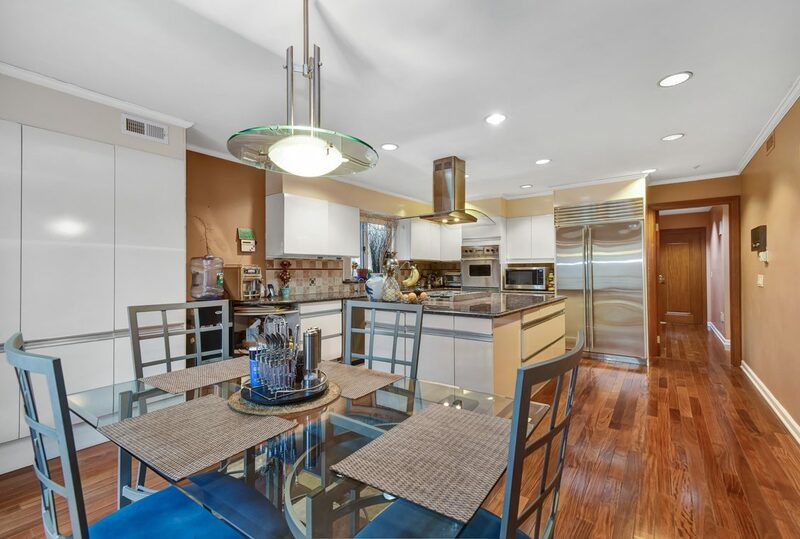 The 2nd floor features 3 bedrooms & 2 baths, as well as an office with a skylight. 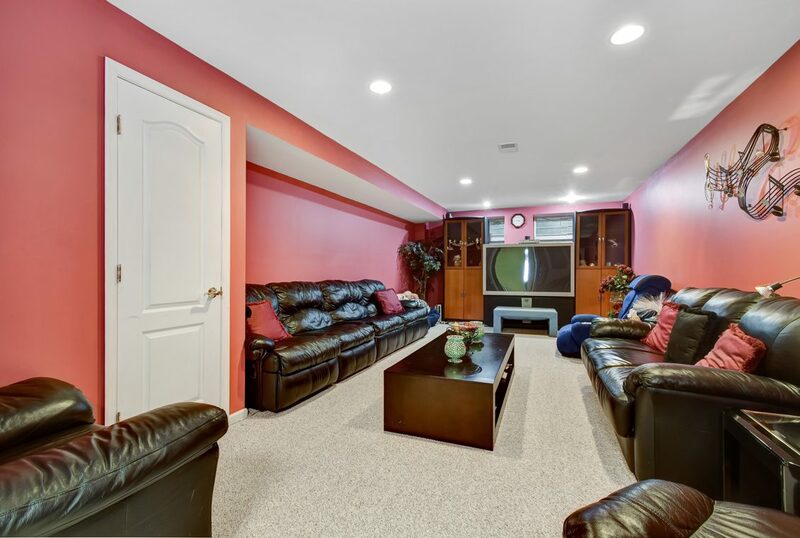 Beautifully finished basement with huge recreation room, exercise room, media room & powder room. New roof & new circular driveway! Attached 4-car garage! 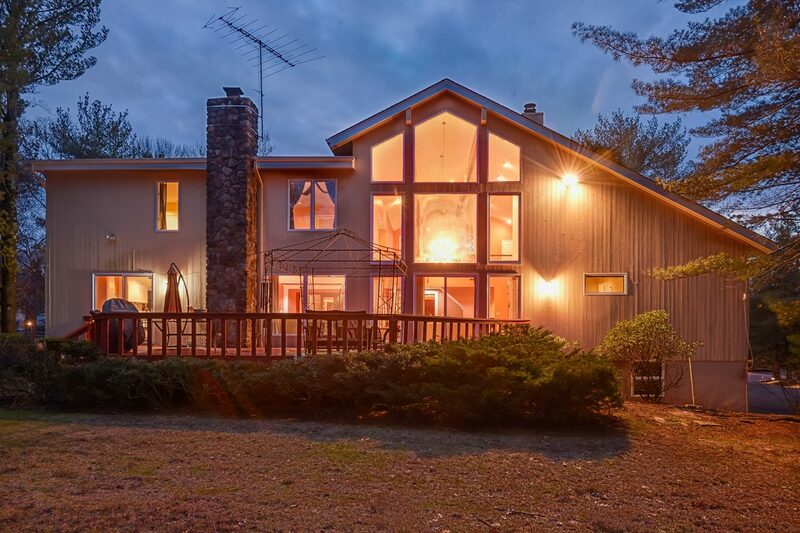 New Landscape lighting! 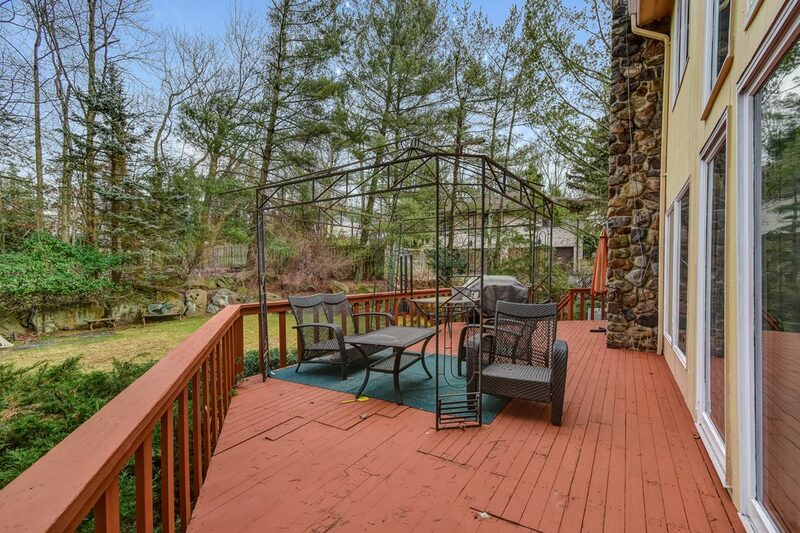 Ideal location close to Gero Park, the town pool, golf course, tennis courts, baseball fields & roller rink. Bus service available to highly rated Deerfield Elementary School, Millburn Middle & High School! 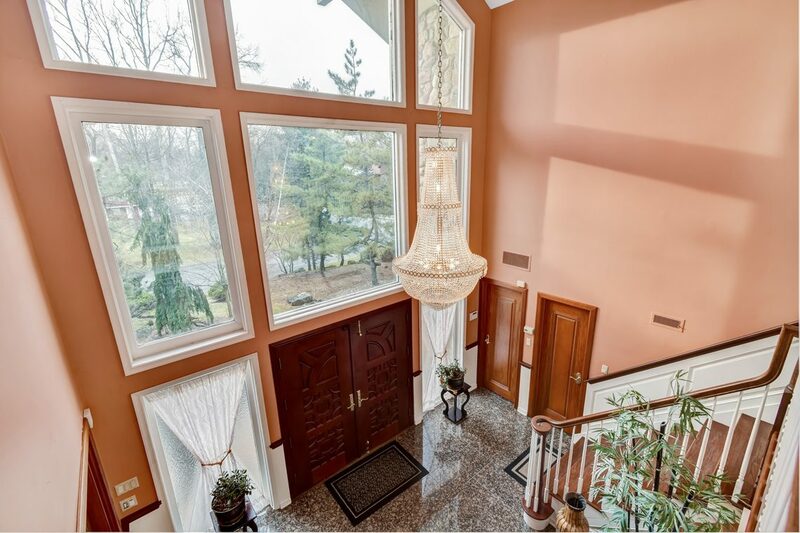 Grand 2-Story Entrance Hall: granite floor, grand wood staircase up to the balcony overlooking the entrance hall and stunning Great Room. 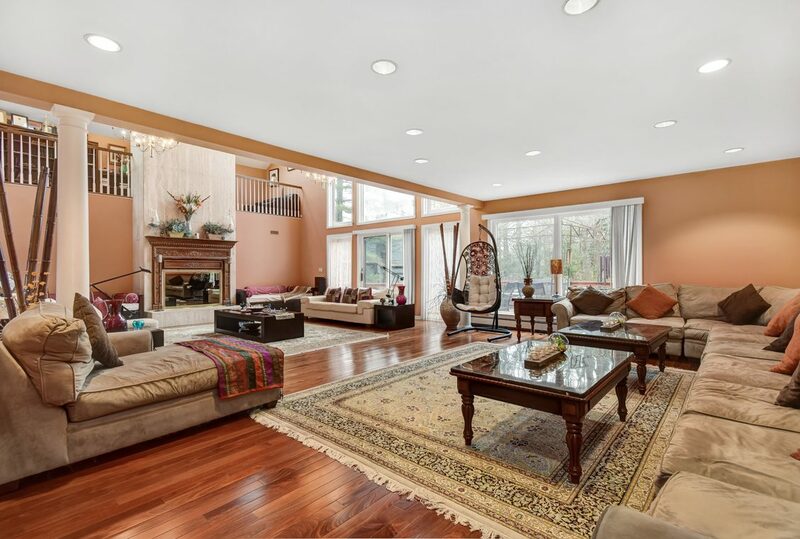 Great Room: 24’ high ceilings, enormous marble wood-burning fireplace with exquisitely designed wood mantel, mahogany floor, two chandeliers. 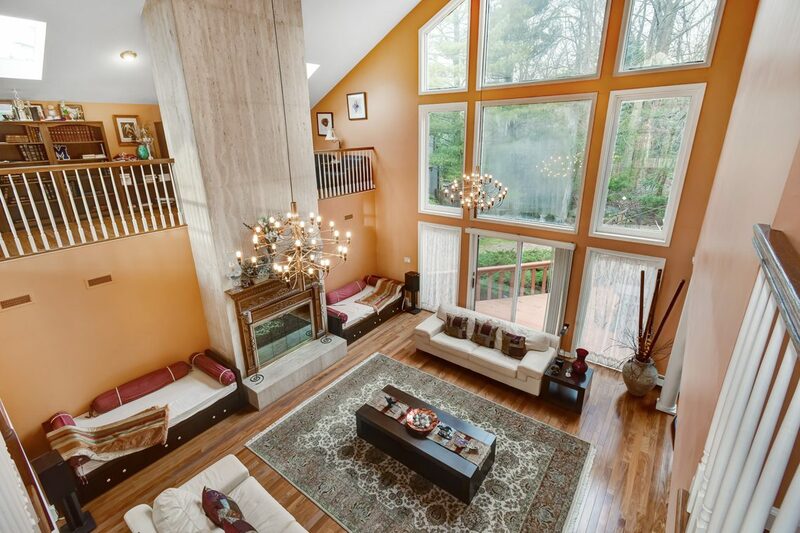 2-story wall of glass windows provides terrific natural light to this room, two sliding glass doors out to the deck and totally level property. 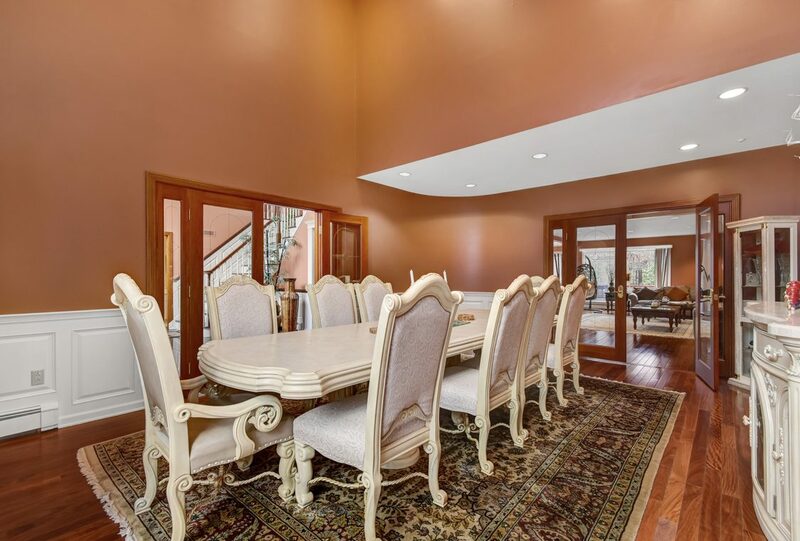 Dining Room: 20’ high ceilings, hardwood floors, two sets of mahogany and glass French doors lead to the Entrance Hall & Great Room. Gourmet Eat-in Kitchen: granite countertops, cream color custom Allmilmo cabinets, mahogany floor, tile backsplash, large island with 6-burner Viking range, Viking double ovens, Bosch dishwasher, SubZero refrigerator, Sharp microwave, stainless steel sink, recessed lights, sliding glass door out to the deck and totally level property. Powder Room: marble floor, large mirror over Kohler sink set in formica countertop, Kohler commode and recessed lights. 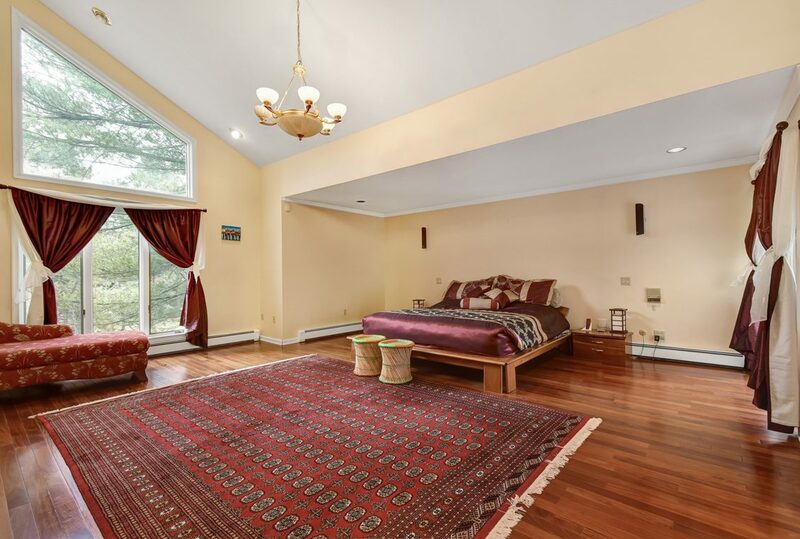 Master Bedroom: high ceilings, great natural light, gas fireplace with wood mantel and sliding glass door out to the balcony. Dressing Room: skylight, 3 closets – 2 of which are walk-in closets. 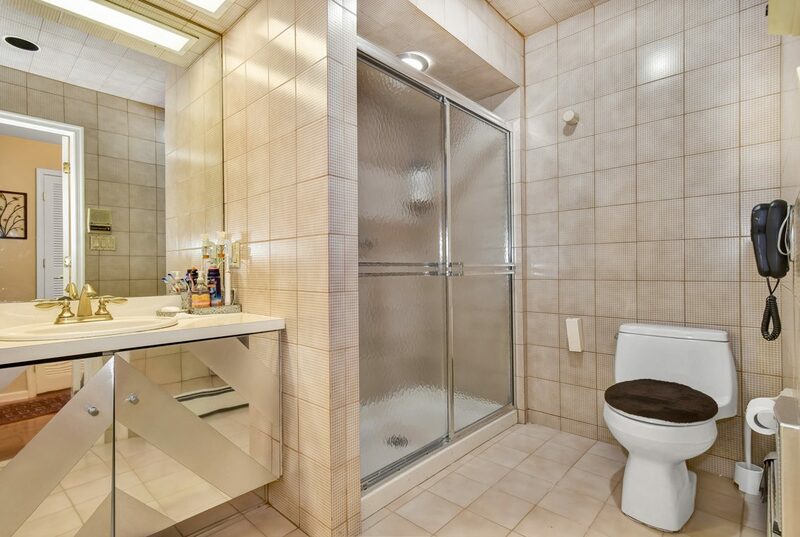 Two Master Baths: One with a Jacuzzi tub, a closet, tile floor and American Standard commode. And the 2nd with a walk-in shower, Kohler sink with Price Pfister faucets and Kohler commode. 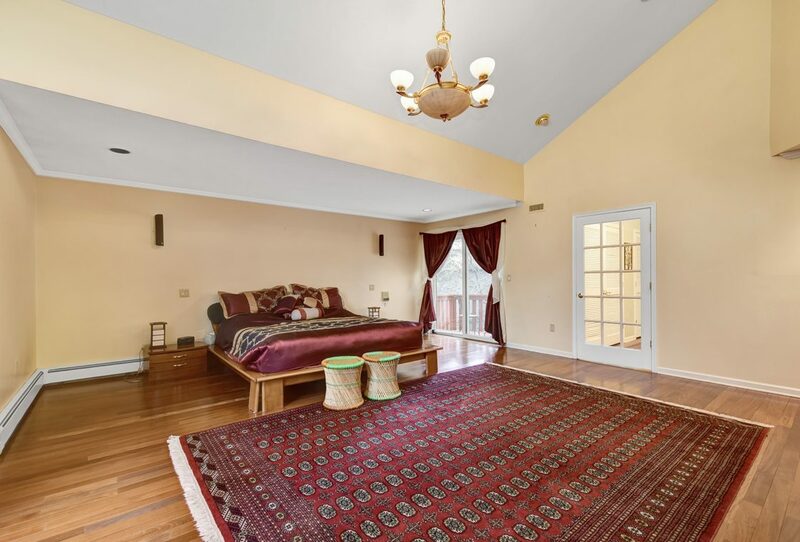 In-Law Suite / Bedroom 5: mahogany floor, double closet, four windows. 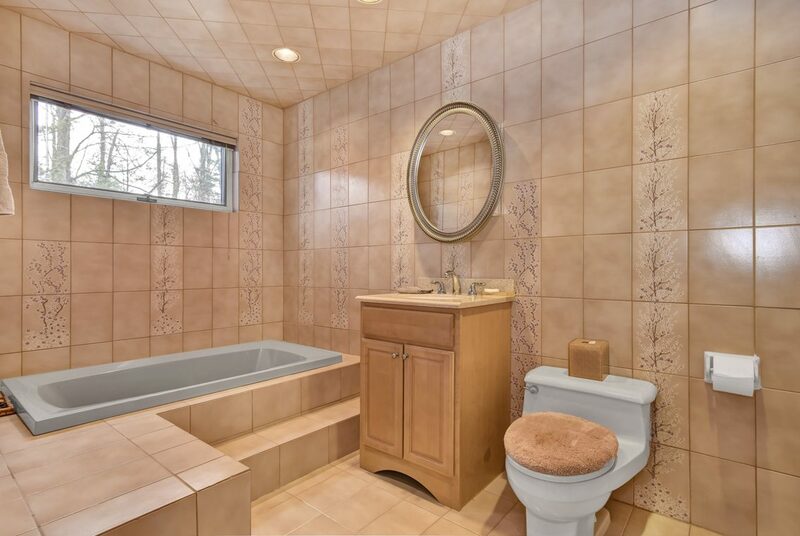 En Suite Bath: shower over tub, tile floor, Kohler sink with Peerless faucets, Kohler commode and a window. Laundry Room: tile floor, built-in cabinets, utility sink, closet and door to in-law suite bath. 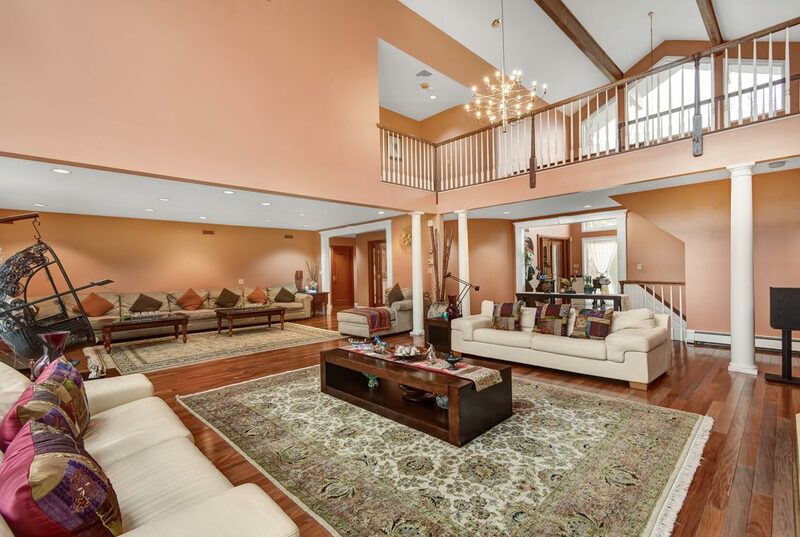 Second Floor Landing / Gallery: mahogany floor and two skylights, two 20” thick exposed beams, two 2-Story walls of glass windows in the front and back of the house provide great natural light and beautiful views. There’s a walk-in cedar closet and a huge linen closet for storage. 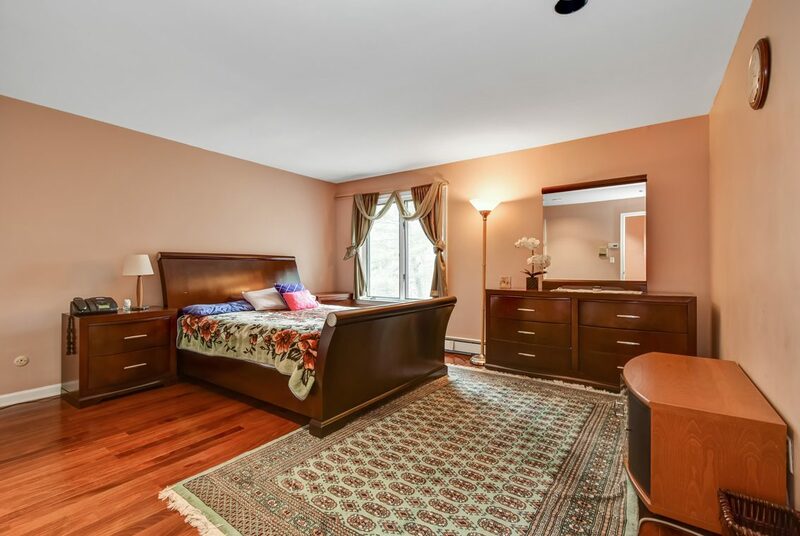 Bedroom 2: mahogany floor, two double closets, two windows. 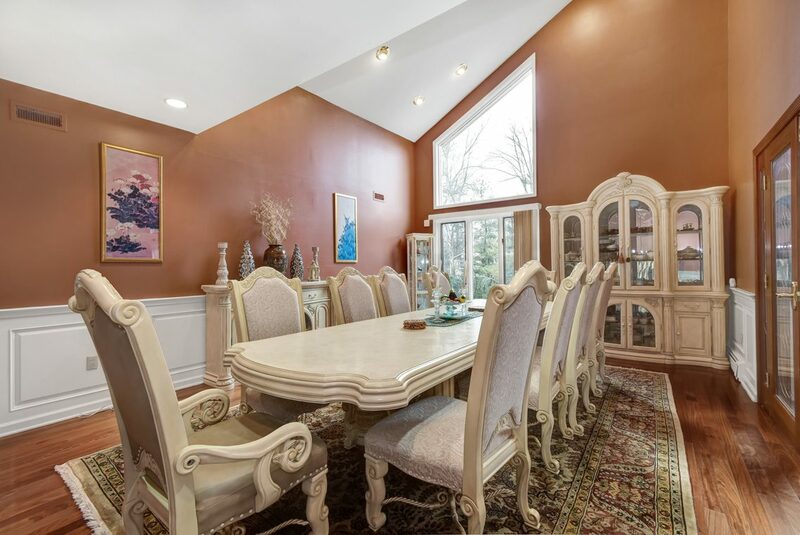 This room features a separate study/library area! En Suite Bath: tile floor and walls, shower over tub, sink with Delta faucet and Kohler commode. 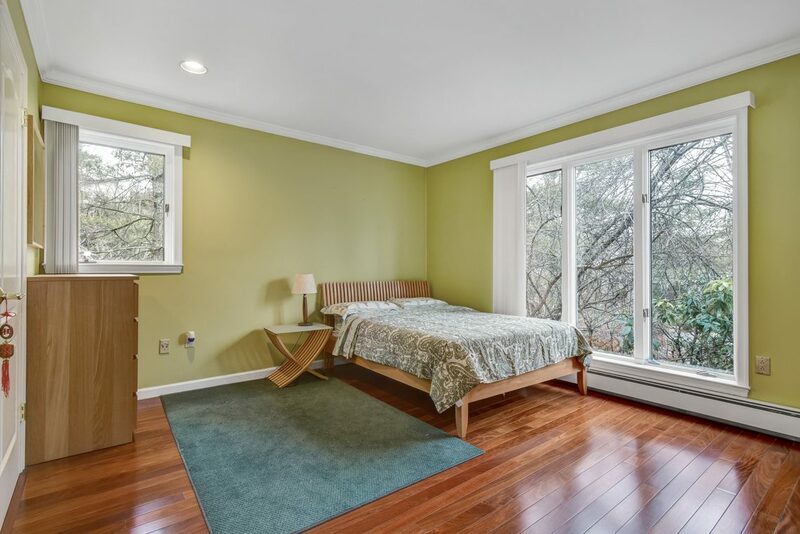 Bedroom 3: mahogany floor, closet, window and recessed lights. Full Hall Bath: tile floor, shower over tub, two sinks with Delta faucets and mirrors above, small closet and Kohler commode. 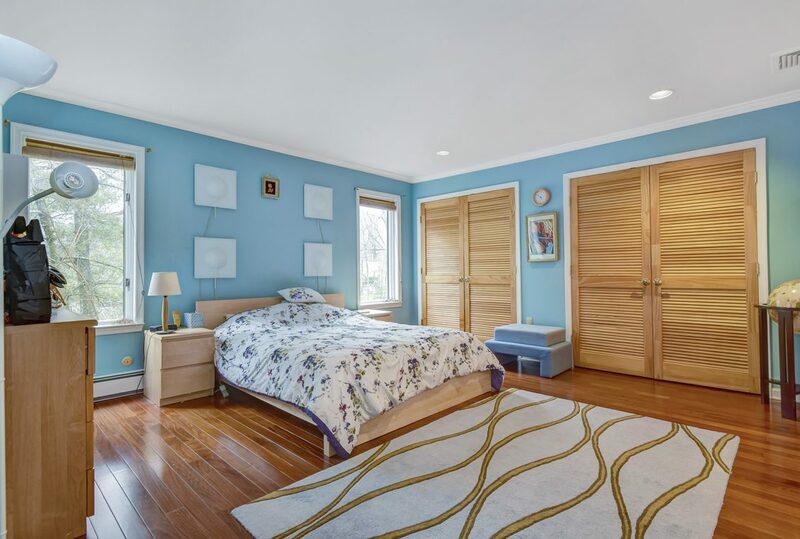 Bedroom 4: mahogany floor, closet, two windows and recessed lights. 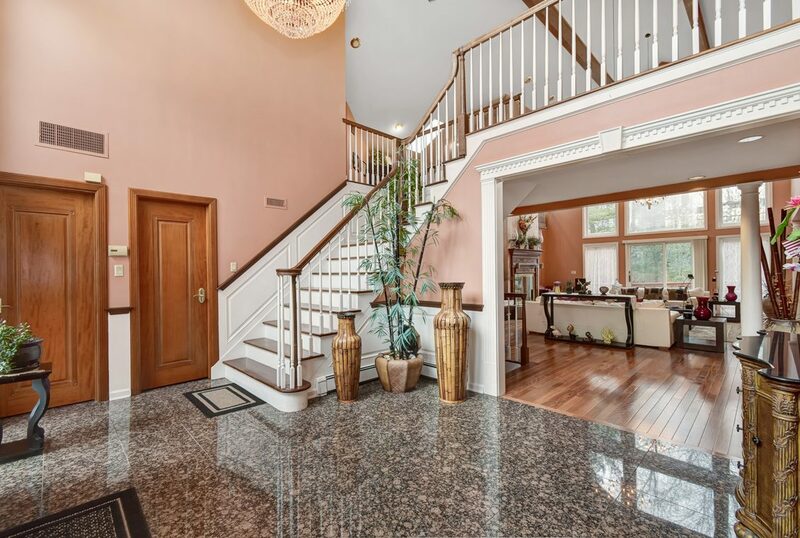 Wide mahogany stairway leads down to the lower level with wall to wall carpeting, high ceilings, and 3 windows. 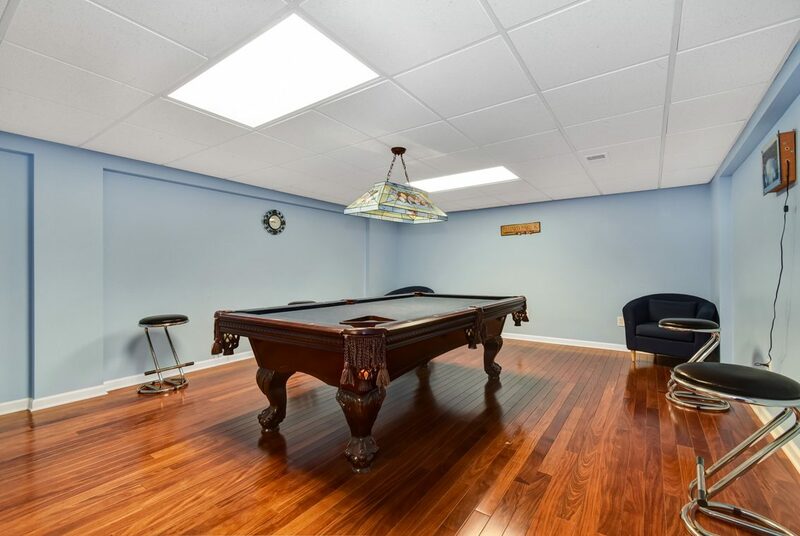 Huge Recreation Room: wall to wall carpeting, high ceilings, 2 storage closets. 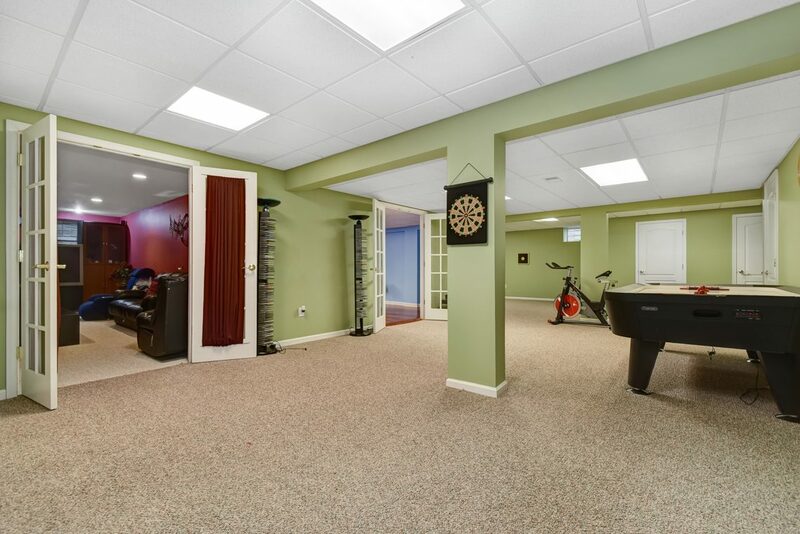 Game Room / Potential Exercise Room: mahogany floor, high ceilings, French doors to the Recreation Room. 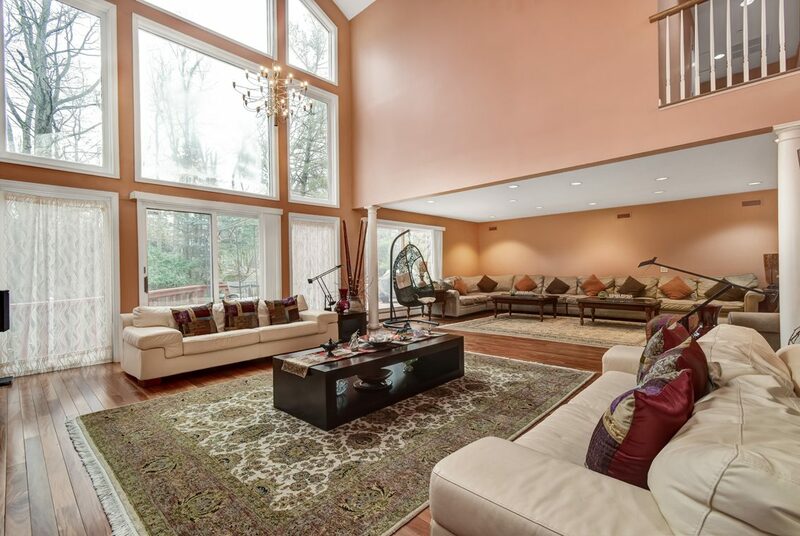 Media Room: wall to wall carpet, recessed lights, two windows, wired for flat screen TV, French doors to Recreation Room. Powder Room: tile floor, sink with Peerless faucets, Kohler commode and recessed lights.